J:Kenzo’s dark and devastatingly bass-heavy productions have seen him rise through the dubstep ranks, proof that there is no shame at all in sticking to your roots. An exciting blend of dubstep sensibilities with subtle nods towards jungle and techno, Kenzo’s sound shares the same low-frequency depths as those plumbed by DMZ and Youngsta, but with an altogether more brooding atmosphere. Early releases like ‘Conqueror’ showed a sub-woofer-bothering talent in the making, catching the ear of dubstep royalty and Tempa A&R man Youngsta. J:Kenzo announced himself to the world with his Tempa debut ‘The Roteks’, an outstanding cut of foreboding dubstep, showcasing the sparse arrangements and floor-shaking bass that make up his signature sound. 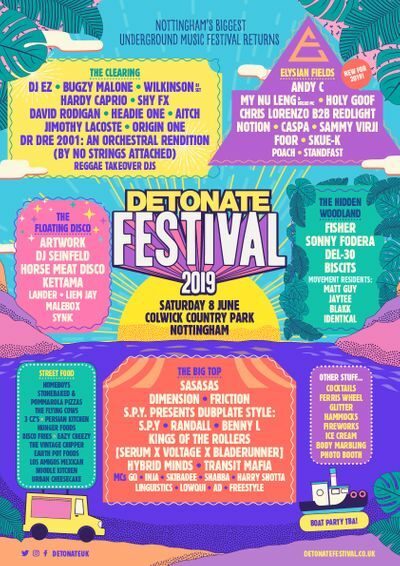 Not sleeping but smashing it with a one-two of bangers, ‘Ruffhouse’ and ‘Invaderz’ cemented Kenzo’s place at the forefront of the current dubstep movement and bagged him a monthly mix slot on Mistajam’s ‘Daily Dose of Dubstep’ section on BBC 1Xtra. He now holds down a monthly show on Rinse FM too. Last year’s self-titled debut album was another massive step forward in Kenzo’s career, receiving rave reviews for its no-nonsense take on the bare-bones roots of dubstep, and the future couldn’t be looking brighter for him. Kenzo will be in the mix for the forthcoming instalment of Tempa’s legendary ‘Dubstep Allstars’ series, and with a Rinse mix CD in the pipeline as well, he is at the very top of his game. Resident sets at FWD and Fabric speak for themselves in terms of his skills on the decks, and as one of the most in-demand DJs in the scene at the moment, you shouldn’t miss out on his set at Detonate (May 31st).